A very strong low pressure system will push into the Plains and Upper Midwest this weekend. Blizzard conditions, accumulating ice, and even thunderstorms will be possible. Most of North Dakota and parts of western South Dakota are under a Blizzard Warning starting early Sunday morning and lasting into Monday. Anywhere from 6-18″ of snow will be possible, with the highest totals in North Dakota. Winds could gust as high as 70 mph in some locations. This will cause significant blowing and drifting snow. Travel will be treacherous. 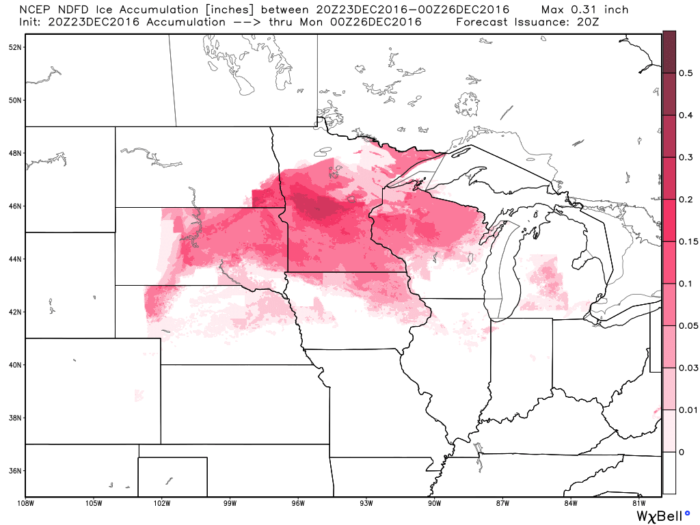 Farther east, warmer air will be in play, so freezing rain looks likely for a few spots from far eastern South Dakota into Minnesota and northern Wisconsin. Temperatures at the surface will be stuck right around freezing through most of Christmas morning, which will give the ice time to accumulate. Slippery roads are anticipated early Sunday. 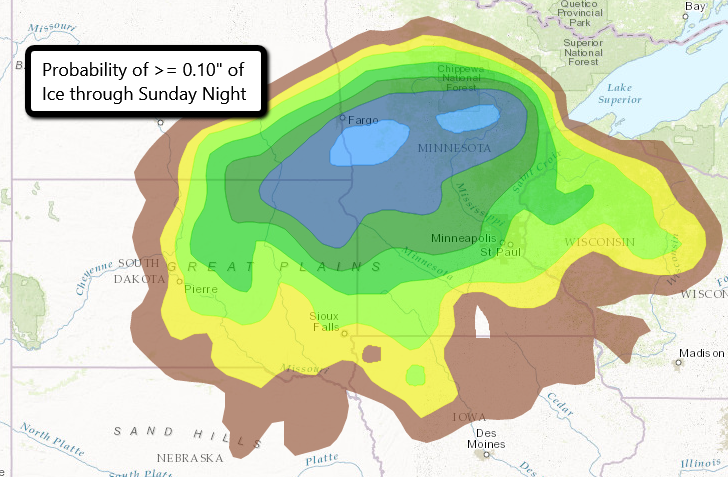 Right now, models show that parts of west central Minnesota could pick up nearly 3/10″ of ice through Sunday night. This could cause tree damage as well as power outages. 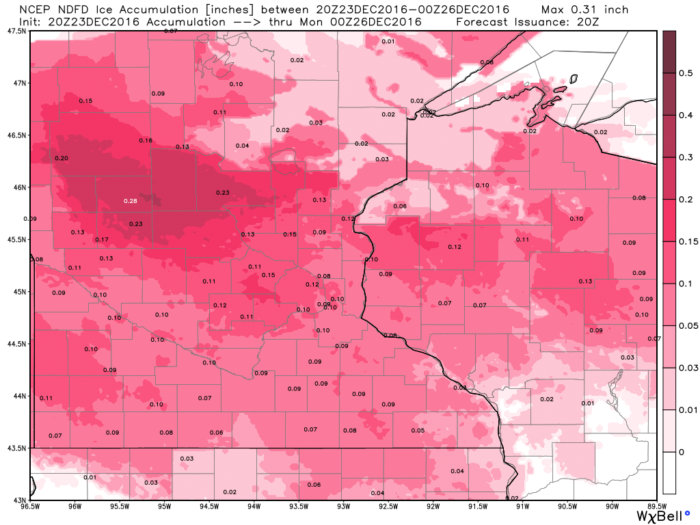 The Twin Cities metro and surrounding areas may even get a tenth of an inch of glaze ice. As this dynamic storm system pushes into the region over the next few days forecast details will likely change. Stay tuned!